This the second bag of Seabrook crisps I have had in this style, the first being Chicken Jalfrezi Crisps. 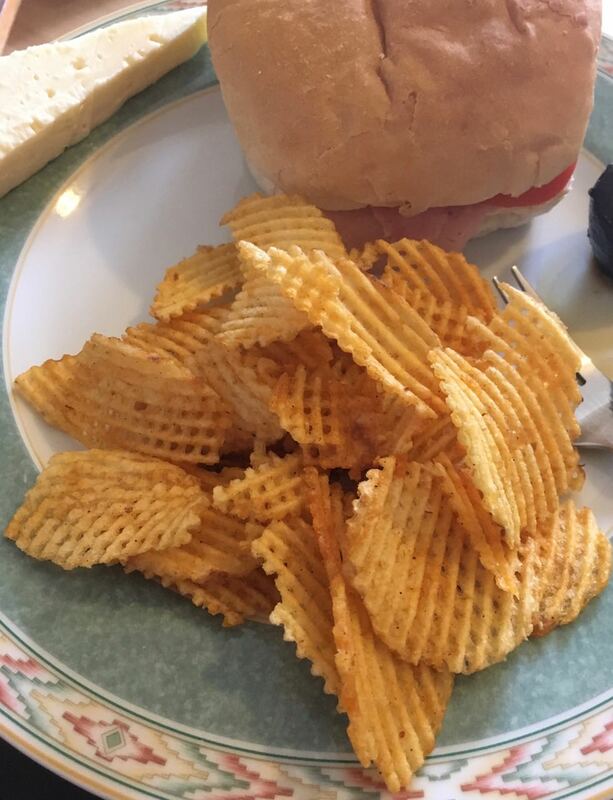 The crisps are specialty food flavours and are in a big share bag. The bag opens on the top and is resealable via a sticky pull tab. This is a nice idea for sharing, and the way the bag opens makes it easy to offer these around. The crisps inside are lattice shaped and as such look quite smart, and have plenty of crevices to trap the seasoning. 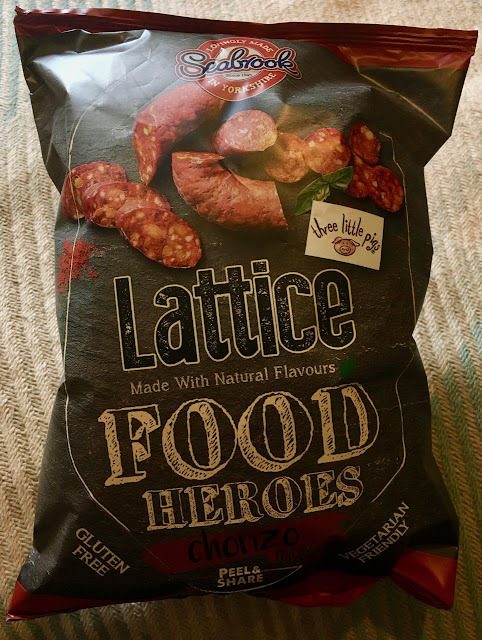 The flavour is Chorizo as you are reading this you have the benefit of not having to listen to me attempt to pronounce it! Whenever I try I inevitably get corrected. As it is a spicy sausage variety I was surprised to see that these crisps state vegetarian friendly on the front of the pack. The ingredients are below, incase you want to check. 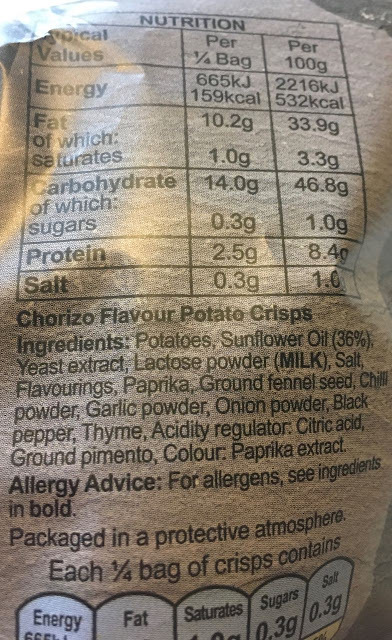 The crisps have a good texture and are light and crunchy. They taste surprisingly meaty to say they are a vegetarian edition. The main flavour is a rich smokey taste, there were loads of tones of spices too, all intermingling and creating a very pleasant warming smokey flavour. There was quite a bit of depth to the flavour, but they were still fairly mild. They were easy to eat, without there being too much heat in the taste, and we all enjoyed munching on them. If I could just learn how to pronounce the name they would be far easier to hand out! Chore-Rise-O? Shore-Its-So?